After months of salivating over getting a taste of Nokia's Blackberry killer, it looks as though our appetites may be satiated. Today, the FCC approved the Nokia E61 for US consumption! The Nokia E61 is a Symbian OS 9.1 smartphone, complete with the S60 software. 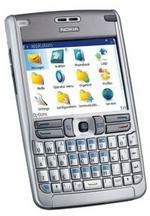 The Nokia E61 was originally announced on October 12 2005, and has been a favorite item of numerous rumors.